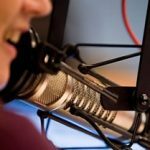 Tell me where else on the planet musicians master classical music, local popular music, indigenous music, religious music and jazz. There’s a reason Cubans have had such a out-sized impact on world music: Their training, discipline and versatility are second to none. The conversation is a bit slow moving at times and a lot of it is in Spanish, but stick with it. It will give you an unparalleled insight into what goes into making a Cuban musician. Los Terry are a family of musicians from the Camaguey province of Cuba. Their unique blend of musical styles includes elements of folklore, classic charanga and modern jazz, creating a bridge across generations. Eladio Terry, the patriarch of the family, known to many as Don Pancho, grew up surrounded by the music of the Afro-Cuban religions and learned the traditional drumming and vocal styles that date back centuries. Eladio followed the path of the apprentice drummer as he learned the prayers, songs and rhythms that accompany the religious ceremonies- watching, listening and playing for hours. Like many Cuban musicians, he also learned to play popular music styles, incorporating his knowledge of African traditions into the secular dance music of the day. Eladio Terry’s influence in Cuban music began with the legendary charanga group Maravillas de Florida, from the town of Florida in Camaguey. He utilized the chekere with the traditional charanga format of violins, bass timbales, flute, piano, and guïro, adding an instrument widely used in the syncretized African religions that have survived and flourished in Cuba. The chekere is an instrument made out of a gourd strung with beads that requires a sophisticated physical dexterity to produce rhythms and harmonic timbres. Eladio Terry and his sons handle the chekere like veteran basketball players taunting their opponents as they effortlessly coax rhythms and tones out of these hollow gourds. In the early 1960s Eladio went to the newly formed Conservatory of Music in Havana. There he met fellow music students from Mali who became legendary figures in contemporary African music when they formed Maravillas du Mali and wrote the theme song for Radio Mali in a Cuban charanga style. Eladio recalls that they had assimilated much of the Cuban rhythms but could not understand the role of the bass. 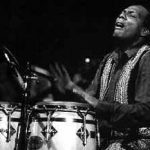 He claims credit for teaching them the subtleties of the tumbao or “swing” of the bass that can’t easily be notated or understood without grasping the fundamental structure of Cuban music. Traveling with the Maravillas de Florida in the 1970s Eladio visited many African countries as well as Eastern Europe and the Middle East. As director, violinist and arranger he was able to incorporate many of the musical influences of his travels into his music. The recordings of the Maravillas from this period are spiced with African-based rhythms, harmonies and timbres that he introduced, giving the charanga a very Afro-Cuban feel. Yosvany recalls that when the Maravillas played Son Wambari at outdoor dances people in the audience were seized by trances when they heard the Yoruba chants and the familiar incantations calling out to Elegua.When the Maravillas toured Africa they found that many people understood the meaning of the words to the Yoruba and Congo chants that they sang which are part of religious rituals in Cuba. 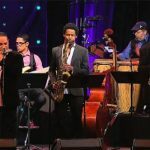 Cuba’s nationwide musical education program has had a profound effect on the development of countless talented musicians. 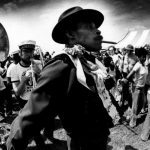 Cuba has always had a wealth of musical talent but few of the youth from poor families had the resources to receive the formal training and practice time that would allow them to master forms of music other than those with which they had direct experience. 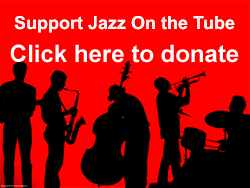 Eladio Terry’s sons, Yosvany, Yoel and Yunior have all passed through intense musical conservatory training as well as paying their dues in popular music groups and have sharpened their skills playing improvisational jazz.